A report on goal.com suggests that Kogalo were forbidden from using the training ground at Camp Toyoyo owing to accruing debts. As a result, the players did not train on Monday. However secretary Judith Nyangi now says the situation was resolved. Club’s Organizing Secretary Judith Nyangi says the situation has been addressed and everything is back to normal. “It is true we were locked out on Monday, the Toyoyo management wanted us to settle our debt. After the Sunday derby, they expected us to pay on Monday and after nothing came forth, they decided to deny us access. Meanwhile veteran referee GMT Ottieno has asked coach Dylan Kerr to adapt to playing surfaces and environments in Kenya rather than ask for changes. Coach Kerr had complained about the playing surface at Nyayo and also complained about balls supplied by KPL. 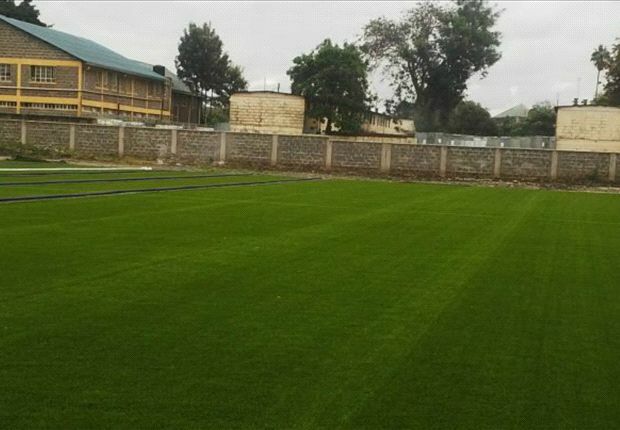 “Nyayo Stadium and so many other local pitches are a disgrace to the Kenyan league. We (Gor Mahia) train at Camp Toyoyo, which is an artificial pitch, then come and play here (Nyayo Stadium) on a bumpy surface. That is atrocious and does not support good professional football,” he said. GMT thinks Kerr is just making excuses. “I agree that the terrain at Nyayo is not as good as that of Camp Toyoyo where his team trains, but KPL doesn’t own any stadiums. There are many stadiums in this country and it is his club that chose to play at Nyayo that day. The balls he is complaining about are Puma balls approved by Fifa,” Ottieno said. “He has been here for only one month so how does he know the balls have been use for more than two years? Kerr should just admit that his players performed poorly instead of diverting attention. Next time his team is hosting matches, let them take it anywhere they want, provided they can assure us of the security of the players, match officials and fans,” he said. Meanwhile Kerr knows that he has his work cut out to solve the lack of scoring problem. Kogalo attackers were guilty of missing good chances. “I am not impressed with our finishing; we still cannot score as many goals as possible. Our finishing is wanting and it is something we should work on and execute it during our matches. Against Leopards we had our chances, but we did not make use of them. Its a rare treat for Kogalo fans to be able to watch players from the legendary side that won the Africa cup in 1987.The video is heavily edited to show mostly Esperance highlights despite the fact that this match was evenly balanced. Indeed this match was televised and replayed on KBC TV several times in the run-up to the epic second leg at Kasarani. Those like myself who watched will tell you that the match was evenly balanced. Resolute defending by the backline quartet of Peter Otieno Bassanga (15), George Otieno Solo (11), Tobias Ocholla (4) and Austin Oduor(6) Kept Kogalo in the game and David Ochieng Kamoga was solid between the posts. At the 23 second mark he is called upon to parry a corner kick then has to quickly react to punch a powerful shot from Nabil Maaloul out for another corner. It is this second corner that results in the first controversial penalty awarded to Esperance. The ball hits Bassanga in the stomach and the referee inexplicably gives Taraji a penalty which Maaloul converted with class. 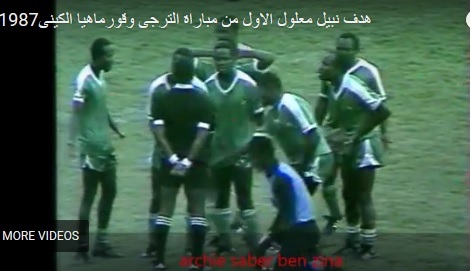 Kogalo players surround the referee and beseech him to reconsider. Perhaps sensing that a scene like Zamalek 1984 is about to erupt, skipper Austin Oduor asks the players to leave so he can talk to the referee. Bassange is yellow carded for his dissent and has to be further calmed down by Solo. At the 4:30 mark, Anthony Ndolo comes on for an injured Sammy Onyango Jogoo. Ndolo would be instrumental in Kogalo’s second goal. At the 6:22 mark, Charles Otieno wins the ball in midfield and puts George Nyangi “Artillery” through. Nyangi attempts to cross the ball and it is seemingly handled by an Esperance defender Ali Ben Neji. No penalty. At the one minute mark, Charles Otieno finds Sammy Onyango on the right wing. Jogoo deftly loses his marker and unleashes one of hos trademark grass-cutters which forces a save from the goalkeeper. It was Abbas Magongo who started the move that ended with the first goal and it is he who finished it at the 3:00 mark of the video. He plays the ball to Janabi who sends a long ball to Dawo. But Dawo can’t shake off the close attention of two defenders but the lose ball falls to Magongo who calmly controls the ball on his chest and unleashes a screamer that goes in via the cross bar. The penalty awarded due to a supposed Isaiah Omondi handball happens in the 6:30 mark and is highly controversial. The comical scene where Isaiah Omondi chases an Esperance player who in turn runs away for dear life happens at the 8:10 mark. Kenyan fans were laughing about this scene for days. With time waning and Kogalo seemingly headed for a 2-1 defeat, Peter Dawo wins an aerial duel off a David Ochieng punt. The ball goes to Ndolo who heads back to Dawo. Dawo in turns scores with a scorcher that leaves Esparance stunned to tie the game at 2-2. David Ochieng(1), Tobias Ocholla(4), George Otieno Solo(11), Peter Otieno Bassanga(15), Austin Oduor(6), Isaiah Omondi(5), Charles Otieno(3), George Nyangi Artillery(9), Peter Ochieng Pierre(12), Peter Dawo(7), Sammy Onyango(14). Sadi Kariobangi: “The net collection after deduction of all expenses was Sh296,275. A share of 20% of this figure amounts 59,255 and not Sh75,395 as quoted in your email. Coach Dylan Kerr was less than satisfied with the outcome of the mashemeji derby on Sunday. As predicted, AFC who had succumbed to three straight defeats at the hands of their rivals, came to the match determined to disrupt Gor Mahia in typical Matano style. “I have been in charge of many derbies before, but this was my first in Kenya. AFC brought a totally different game from what I saw here on Thursday against Tusker. They were slow, but credit to their coach. He probably set them up to make us look ordinary,” . ” Said a visibly frustrated Kerr after the match to the Standard. As was to be expected, derby matches do not typically follow current form as Kerr stated. “Since we are leading in the league standings, everybody expects us to win these games easily. Maybe we came into this game thinking we are top and AFC are 13th but in derbies, such things don’t count. “AFC came to the party ready for the derby. All credit to them because they battled hard and frustrated us. Our final touch is really costing us, we are not killing teams as expected,” he said. Kerr also expressed frustration at his side’s below par display in the first half. “It is criminal that players, who showed me in training that they have the ability to cross the ball, couldn’t do it. We were second best in the first half.” he concluded to the Standard. On a positive note, Kogalo fans turned out in large numbers and cheered on the team even as it became apparent that the side was not at its best. 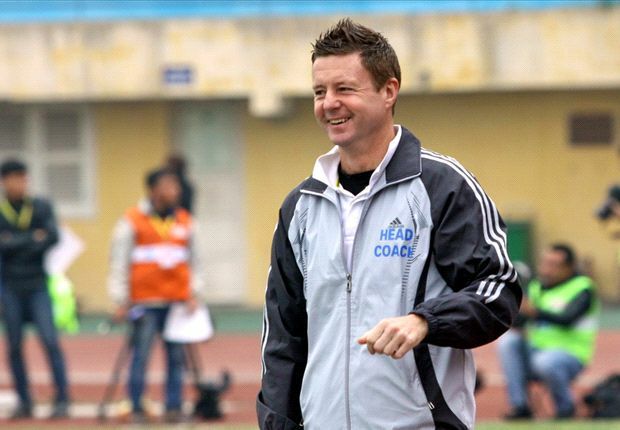 Coach Dylan Kerr was appreciative and took to his twitter account to thank the fans. “A massive ‘Asante sana’ (thank you) for the amazing fanatical supporters of Gor Mahia FC,” Kerr tweeted. The mashemeji derby , 2017 KPL second leg edition ended in a 1-1 draw. Leopards were on the mark first when Musa Mohamed scored an own goal. Meddie Kagere, scored the equalizer in the 35th minute. Kenya’s two most decorated football clubs share spoils in derby riddled with blunders. 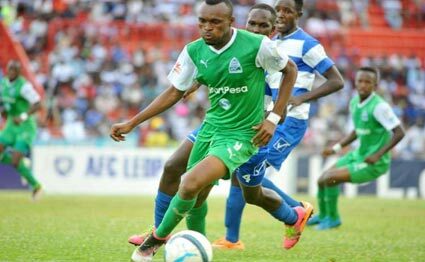 Gor Mahia and AFC Leopards shared the spoils in a thrilling 1-1 draw characterised by defensive errors at Nyayo Stadium. Despite the draw, Gor are still six points clear (44 points) at the top of the Kenyan Premier League after their title rivals Sofapaka and Posta Rangers also ended in a 1-1 draw in Narok on Saturday. Defensive blunders from both sides saw two goals scored in a span of 15 minutes. First it was Gor captain Musa Mohamed, who scored into his own net in the 22nd minute before Meddie Kagere capitalised on Musa Mudde’s poor defending to equalise. The result left AFC coach Robert Matano an excited man, insisting that his 13th placed side (24 points) can secure a top 10 finish. “We are improving game by game and players are pushing themselves. We needed the three points, but lack of concentration gifted them a goal. Gor are currently in top form and getting a point against them is encouraging. With this performance, top 10 finish is still realistic for us. I am proud of my boys’ performance,” said Matano. But for Dylan Kerr, it was a frustrating evening for the 15-time champions as the league leaders were a shadow of their former self. “Credit to AFC Leopards. They battled hard and frustrated us. They indeed came into the party, though I feel disappointed to have let our fans down. But for AFC, it is a good result for them as their fans went home happy,” said Kerr. Both teams started the match cautiously in a game that was very tactical. However, it is Gor who progressively took control of the play, pushing the visitors in defence but unfortunately failed to break the deadlock. Leopards earned a free kick in the 17th minute but Robinson Kamura’s attempt was blocked by Gor Mahia’s wall before Godfrey Walusimbi’s free kick deflected off Mudde for a fruitless corner. AFC Leopards drew first blood in the 22nd minute when Mohammed deflected Samuel Ndung’u’s dangerous cross from the left into his own net. Vincent Oburu could have doubled the lead five minutes later but he fluffed his shot before Philemon Otieno’s long range effort was easily gathered by AFC goalkeeper Gabriel Andika. 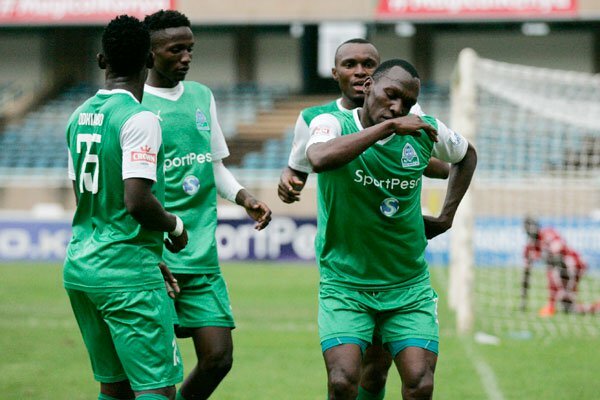 Gor had an equalising chance on the half hour mark, but Kagere dragged his attempt off target before Jacques Tuyisenge failed to connect George Odhiambo’s cross from the left. Moments later, Oburu latched on a miss pass in Gor’s half but his shot did not trouble well-positioned goalkeeper Boniface Oluoch. With nine minutes to halftime, defensive blunder from Mudde allowed Kagere to draw Gor level, beating Andika with a quick shot. Andika then pulled off a fine save from Kenneth Muguna on the stroke of halftime to ensure the match went into the break tied 1-1. Just after restart Raymond Omondi beat Gor’s offside trap but his cross was cleared by Mohamed before Alexis Kitenge paved the way for Wyvonne Isuza on AFC side. Odhiambo would play neat one-two passes with Kagere but the Kenyan international was fouled after handling the ball. Oluoch made two fantastic saves in succession on the hour mark, stopping Kamura’s dangerous free kick before denying Oburu on a one-on-one situation. Substitute Boniface Omondi won a free kick for Gor in the 62nd minute, but Walusimbi ballooned his shot over the bar before Oluoch came off his line to punch away Oburu’s cross in the box. In the 81st minute, Kagere squandered a precious scoring opportunity as he feebly tapped the ball from Karim Nizigiyimana’s delivery into keeper’s hands before Tuyisenge’s header missed the target by inches. Dennis Sikhayi would make a brilliant tackle, rushing Tuyisenge late in the game before he ran forward to force a superb clearance from Mohamed as both defenders held their nerves to settle for stalemate. The third edition of the 2017 Mashemeji derby is here. This particular derby finds Kogalo a good 20 points ahead of their rivals. And Kogalo have won the last three matches against Ingwe by a total score of eight to zero. However on derby day anything is possible. The favourite typically does not come out on top. This has been the case over the past 49 years in which this derby has existed. The reason being that on derby day, the players usually give their best performance. As such current form is not a good indicator of who will win. Indeed Tobias Ocholla, a veteran of many derbies has warned Kogalo not to get carried away by their current form. “You cannot predict who will carry the day in a derby but history shows us that a team that is struggling usually comes top. Gor Mahia has the upper hand going by their form but it will depend on how a team comes out of the block. They need to be cautious.” said the Kogalo legend popularly known as Jua Kali to goal.com. Besides that, AFC will be buoyed by their hard fought win over Tusker last Wednesday. Of the players on the field, the one who has played in the most derbies is Gor Mahia skipper Musa Mohamed. “I am surprised to have played in all those derbies. 13? It’s a good feeling to be involved in a derby because any player would wish to play such a big match,” said Musa. Mohamed’s experience will be crucial if Gor Mahia are to win and protect their six point atop the Kenya premier league. Coach Dylan Kerr, who is coaching in his first derby, will count on in form striker Meddie Kagere who scored the midweek goal against Rangers and has scored in the last two matches against AFC. He will likely pair up upfront with fellow Rwandese Jacque Tuyisenge. While the midfield will be anchored by Philemon Otieno with Walusimbi and Muguna providing creativity. Gor Mahia recorded a 1-0 win over Posta Rangers in what is one of the most crucial encounters of the 2017 league second leg. The win is important as it puts more distance between Kogalo and Rangers and puts pressure on second placed Sofapaka. 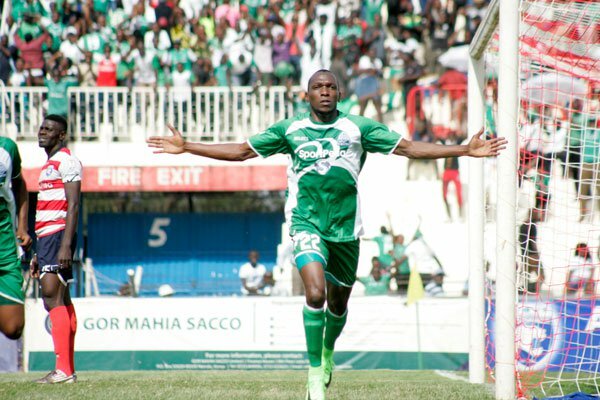 A Meddie Kagere strike was enough to hand Gor Mahia their fifth straight win in the Kenyan Premier League against Posta Rangers. The league leaders came into the match as clear favourites considering their recent form where they have won four straight matches as compared to their opponents who have been having mixed results. It was the mailmen who started well though and could have gone ahead in the 2nd minute. Titus Achesa cut in from the right and crossed the ball to Gor Mahia danger zone. Peter Odhiambo parried the ball weakly and it fell on Dennis Mukaisi whose effort was cleared off the line by Wellington Ochieng. Kogallo reacted by pinning their opponents in their own half, and in the 17th minute, a fierce strike by the dangerous Kagere missed the target by inches. He however made it right four minutes later. An excellent build up ended with Kenneth Muguna passing the ball to the Rwandan. The striker sliced the ball past Patrick Matasi to give Gor Mahia a deserved lead. It could have been worse for the mailmen in the dying minute of the first halfs, but Kagere, Jacques Tuyisenge and Godfrey Walusimbi missed glorious opportunities while Patrick Matasi also did his part excellently. Weather conditions were unfavourable especially in the second half, as the heavy rains made it hard for the players to effectively control and pass the ball. The condition made it harder even for the goalkeeper as noted in the 50th minute when Ochieng attempted to pass the ball to his keeper who miss-controlled, almost gifting the opponents a goal. The lively Kagere almost made it 2-0 in the 55th minute. He went past his marker and unleashed a fierce strike that almost caught Matasi napping. But the ex-:Leopards man put the ball to safety with his second attempt. With 10 minutes left, Rangers increased the tempo, using long throws especially in the opponent’s third. But the defense was on top. Odhiambo made a mistake in his 18- yard box prompting the referee to award an indirect free-kick with a minute left but was agonizingly shot wide by Matasi. Having won three succesive games and opened a six point gap atop the 2017 Kenya Premier League table, Gor Mahia will taken on Posta Rangers on Wednesday. The match is crucial because Posta Rangers are tied for second place and are strong contenders for the league title. Gor Mahia will then take on arch rivals AFC Leopards over the weekend. This is another crucial match firstly because of the bragging rights and because there are three crucial points at stake and AFC will be eager to ruin Kogalo’s party. And coach Kerr already understands the importance of the derby..
“We’ve got two big games this week, Rangers who are third and that’s what we are focusing on today (Tuesday) and we have the Mashemeji Derby on the weekend, which is a monumental fixture for the club.” said Kerr to sportpesa news. Gor Mahia have been in sensational form since coach Dylan Kerr settled in as coach and he will be eager to continue along those lines. Speaking at Camp Toyoyo, Kerr said that the preparations are on track. “We have to be prepared. Since I came here after the Everton game, we have been climbing steadily step by step, we are going upwards. “The elections came and disrupted the momentum and the players had to stay away for safety reasons and afterwards we had to prepare for a game in Kisumu against Muhoroni, which wasn’t the best performance but we got the result,” Kerr stated too sportpesa news. Despite the distractions caused by the Muguna saga, Kerr says training has been good and the players are eager to prove their worth. “The training was fantastic, the energy, attitude and winning mentality among the players and the goals scored were special because of it. “The level of competition is unbelievable, I have a tough job tomorrow to select the team to play against Rangers,” said Kerr. The first leg match between Kogalo and Posta Rangers ended up in a 1-1 draw. Rangers were in fine form then. Their coach, Sammy Omollo “Pamzo” a former Gor Mahia player and coach wants his team to stay close and is in no mood to do Kogalo any favors. “We do not want them to open a big gap at the top and looking at how we performed in the first leg, I think we can improve and win to narrow the difference in points between us,” Omollo told Capital Sport ahead of the fixture. According to Judith Nyangi, the match against Rangers will be played at Kasarani. Gor Mahia are now gaining a measure of consistency. As the league resumed after a 2 week layoff, Kogalo consolidated their lead atop the KPL standings with a 2-1 win over Muhoroni Youth. Both goals were scored in the first half by Timothy Otieno. Gor forward Timothy Otieno scored a brace in a span of six minutes to help K’Ogalo to a routine victory, a result that maintains new coach Dylan Kerr’s 100 per cent start with the team in his third outing. Otieno’s first came on 22 minutes, when he directed a Jacques Tuyisenge cross from the right-hand side past a stranded Muhoroni keeper Gradus Ochieng with his first touch. The second arrived six minutes later as Otieno again found himself one-on-one with Ochieng’ after a free-flowing move that had involved Tuyisenge yet again. But this time round, the Harambee Stars trialist directed his effort into the far right-hand corner of the goal.